Ms. Gentiana Cheung joined the School of Hotel and Tourism Management (SHTM) at The Chinese University of Hong Kong in 2013. With her wealth hospitality industry background (Regent, Peninsula, Mira, Harbour Plaza) and being a certified trainer in MBTI, FIRO-B and DISC, Ms. Cheung constantly conduct dining etiquette and executive team building workshops for different parties in CUHK. With her interests in educational technology, she plays an active role in innovating and incorporating new technological elements to the SHTM curriculum. Ms. Cheung plays various roles in SHTM. Besides teaching mostly hospitality focused courses such as Management of Hospitality Business, Food and Beverage Management, Managing Wine in Hospitality Industry, Wine Culture and Appreciation, Training and Development etc, Ms. Cheung is fully in charge of 1) curriculum review, 2) admission team (JUPAS, Non-JUPAS local, international students), 3)career services team (industry relations and student internship), 4)F&B team which operates 2 restaurants (fine-dining and Café concepts) in Cheng Yu Tung Building. 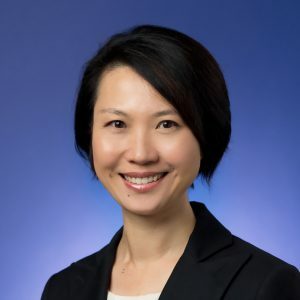 Ms. Cheung is currently the Programme Director of BBA in Hospitality and Real Estate Programme.